(1) (Healthy) reliance on a kind spiritual master, the foundation for all good qualities, is the root of the path. Seeing this well, I request inspiration to rely with great appreciation, through many endeavours. (2) This excellent working basis with its respites, found but once, is difficult to obtain. Having realized its great importance, I request inspiration to develop without disruption an attitude to take its essence in all ways, day and night. (3) At death, my body and life-force will perish quickly like bubbles on a moving stream. and to accomplish every possible deed that will build up a network of constructive force. (5) The splendours of compulsive existence, even when indulged in, never suffice; the gateway of all problems, they are unfit to make my mind secure. Aware of these pitfalls, I request inspiration to develop a great avid interest in liberation’s bliss. so, too, have all wandering beings – they have been my mothers. to take responsibility to free these wandering beings. I will be unable to attain a (supreme) purified state. to train with strong efforts in the bodhisattva vows. and properly discerning the correct meaning (of voidness). I request inspiration easily to board the Diamond-strong Vehicle, the supreme of all vehicles, the sacred fording passage for those of good fortune. I request inspiration to uphold them even at the cost of my life. I request inspiration to actualize them in accord with the Holy One’s Enlightening speech, never straying from the conduct of 4 (daily) sessions of yoga. 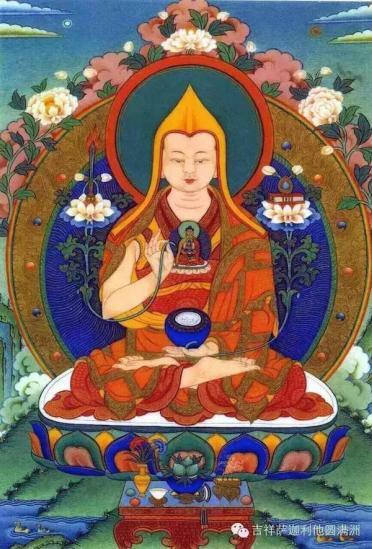 may I quickly attain a Vajradhara supreme state.